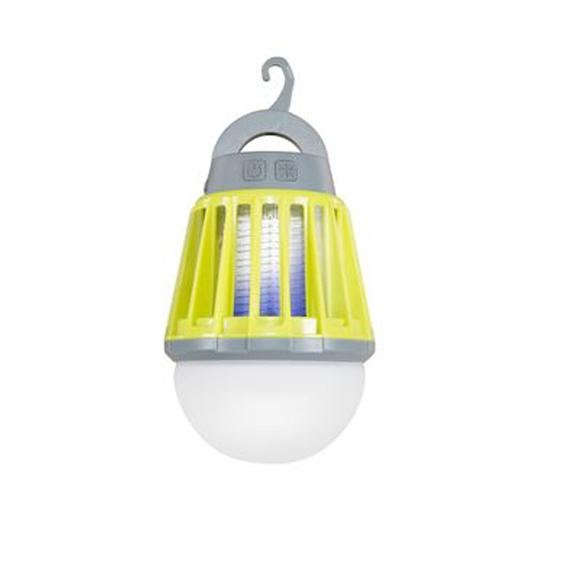 Prevent flying insects from spoiling the majesty of the night with Stansport's lantern/bug zapper! An ultraviolet LED attracts insects, luring them into an electrified grid, where they are painlessly exterminated. This 1000 volt grid maintains insect-killing power for a full 24 hours! Prevent flying insects from spoiling the majesty of the night with Stansport &apos;s lantern/bug zapper! An ultraviolet LED attracts insects, luring them into an electrified grid, where they are painlessly exterminated. This 1000 volt grid maintains insect-killing power for a full 24 hours! In addition to keeping your camp bug-free, this lantern bathes your night in 180 lumens of flicker-free LED light, and includes low, medium, and high settings. Better, the whole package includes a 24 inch USB to micro USB charging cord, so you&apos;ll never worry about forgetting the batteries again!